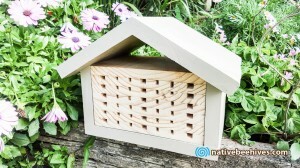 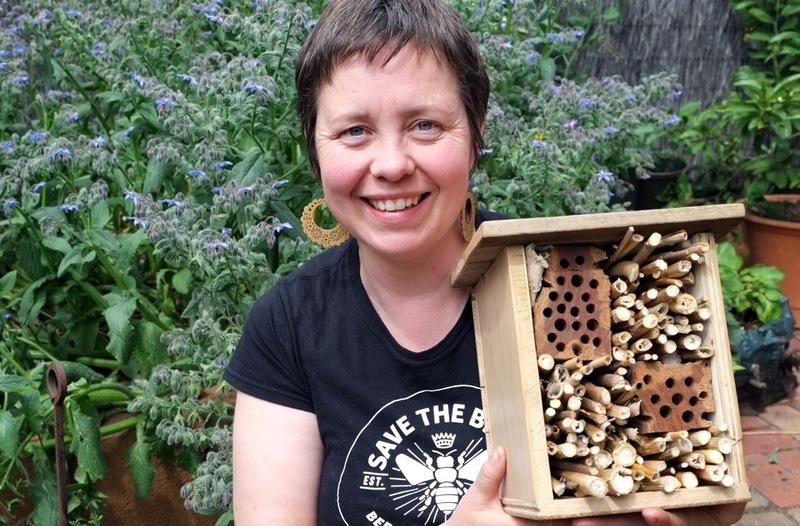 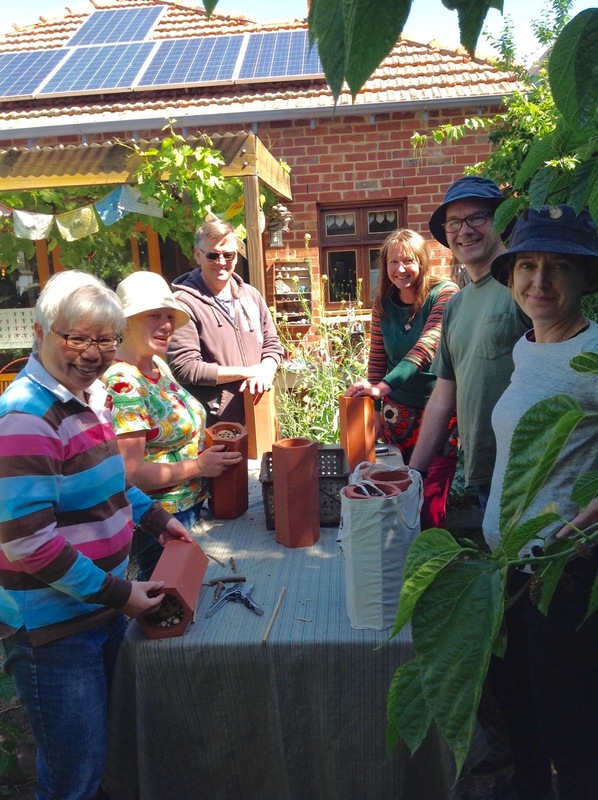 Want to build a bee hotel this weekend and encourage some native solitary bees in to your garden? To start with, choose appropriate materials. 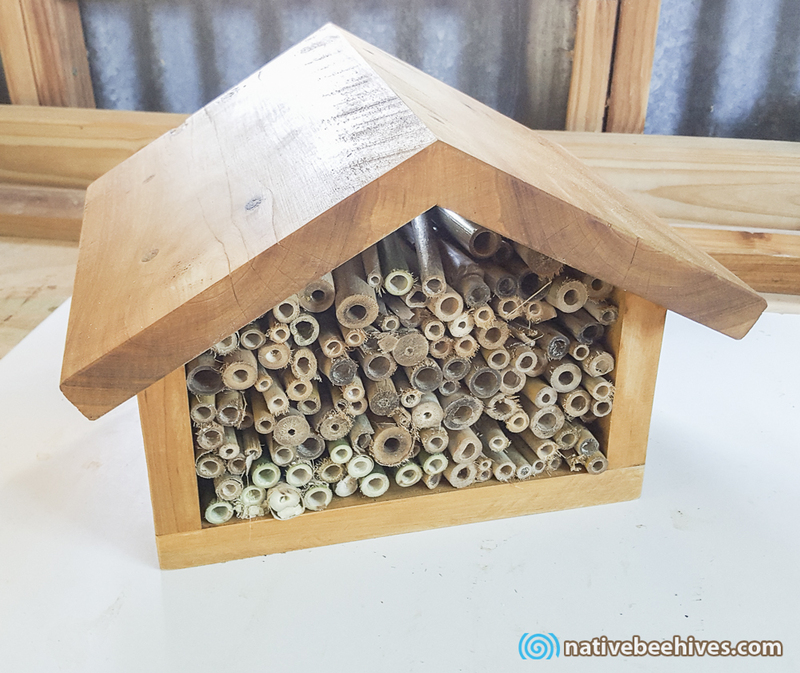 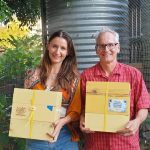 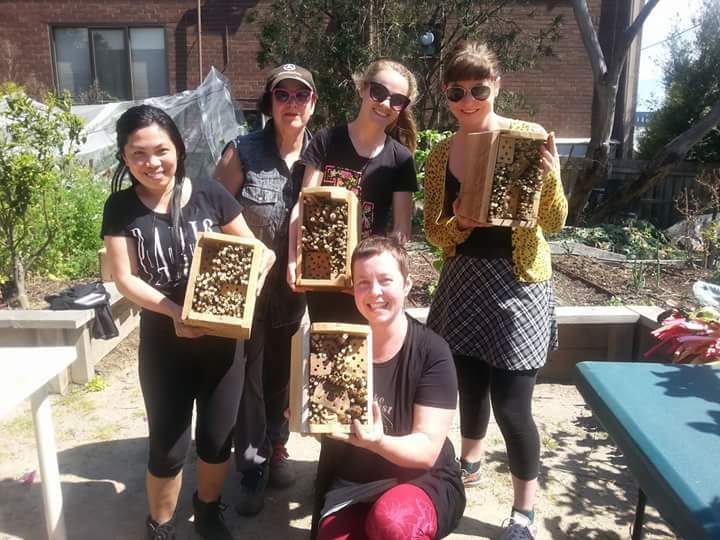 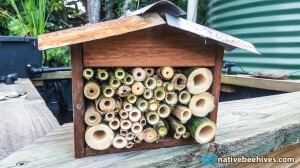 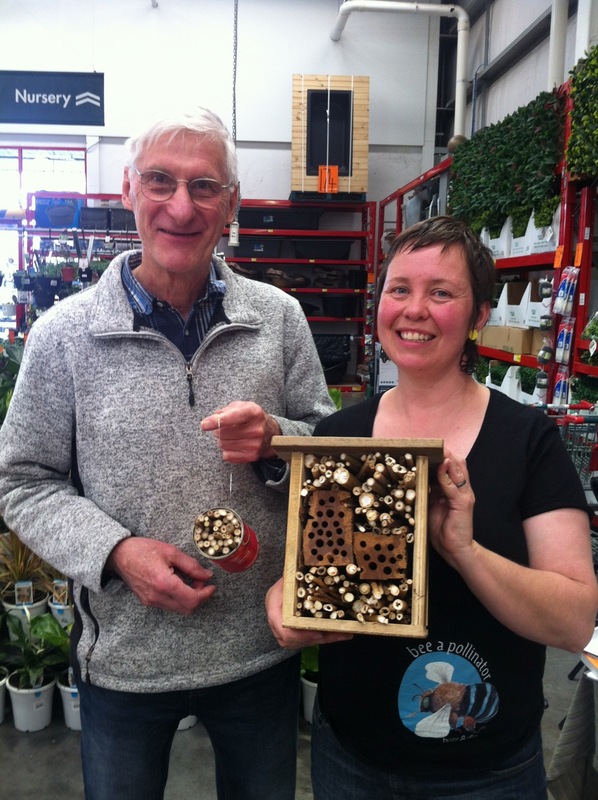 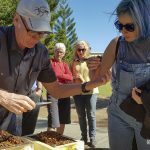 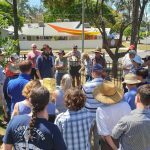 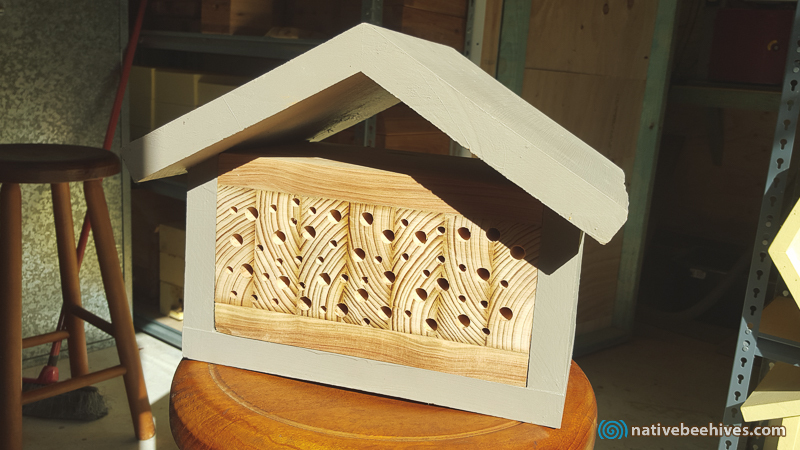 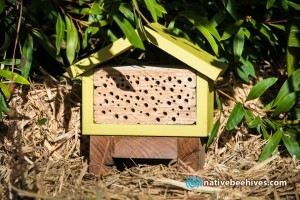 Recycled and natural materials such as hardwood timber off cuts, old red gum fence palings, wooden boxes and crates, even an old guitar can be used as a box to create a bee hotel. 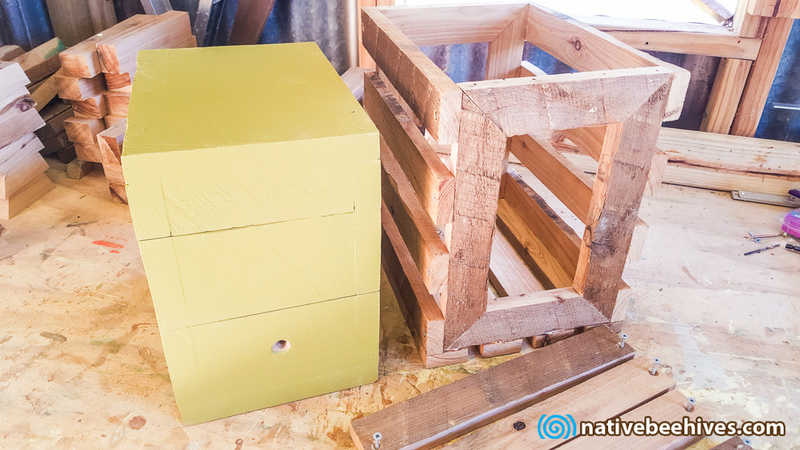 As long as the wood is untreated and painted with high gloss enamels or lead paint, materials are easy to salvage from your shed or garden. The bees aren’t fussy about design, as long as the bee hotel provides a safe and sheltered home and keeps the rain out. 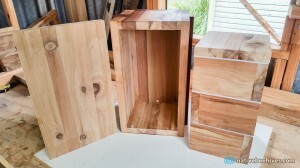 Avoid plastics, cardboard and composite woods such as particleboard as they tend to deteriorate in the elements. 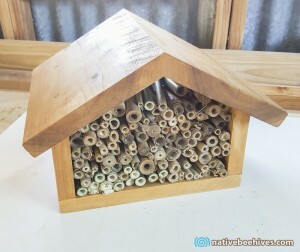 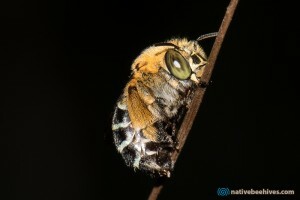 A bee hotel is essentially a box filled with nesting material. 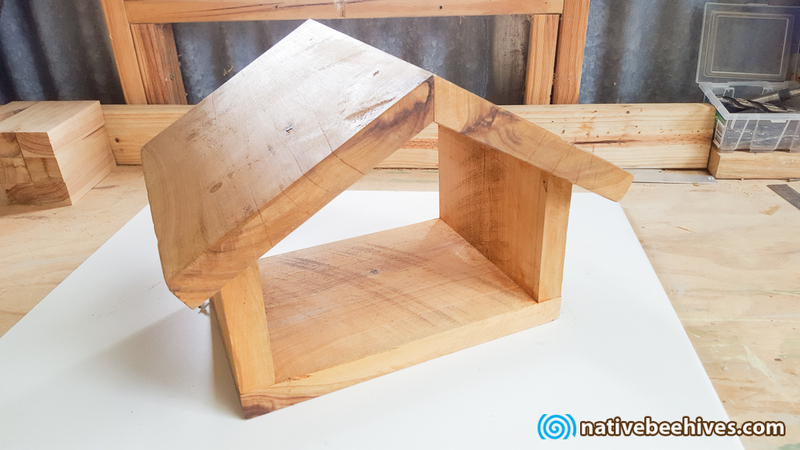 Begin with a box any shape or size, but ideally the box should be 150mm deep and have an angled roof with a 20mm overhang at the front should offer some protection to the entrance. A fixed backing on the box helps keep the contents in and the rain out. 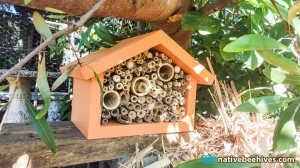 Pack your box with some nesting materials that range in diameter. 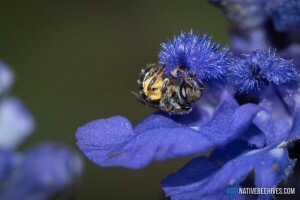 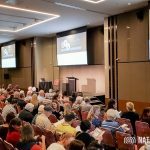 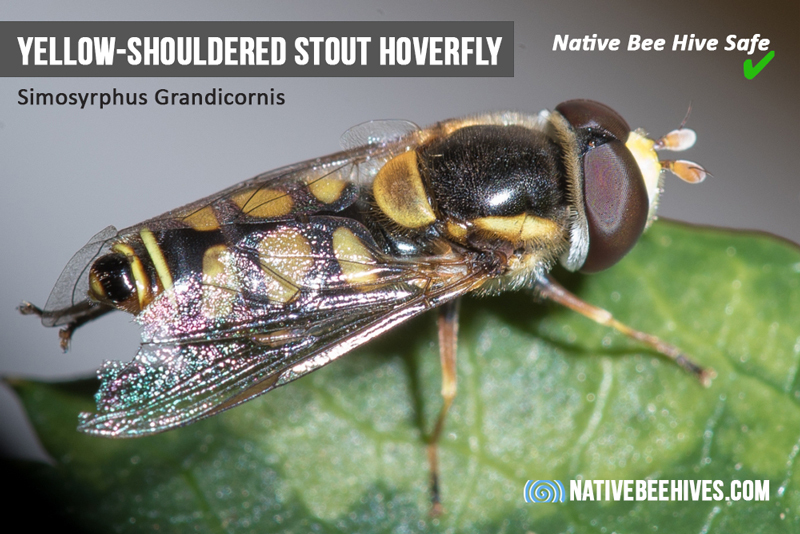 Most bees are very small so potential nesting material may include hollow twigs and dried out plant stems and canes such as bamboo, lantana, grape and passionfruit vines, water reeds and raspberry canes. 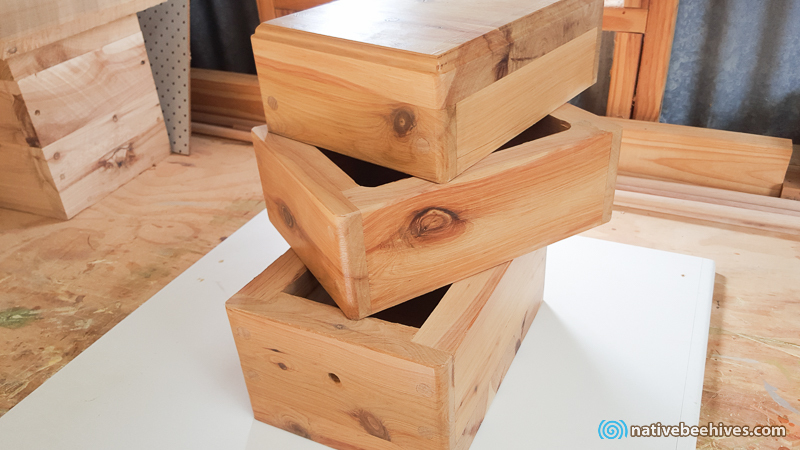 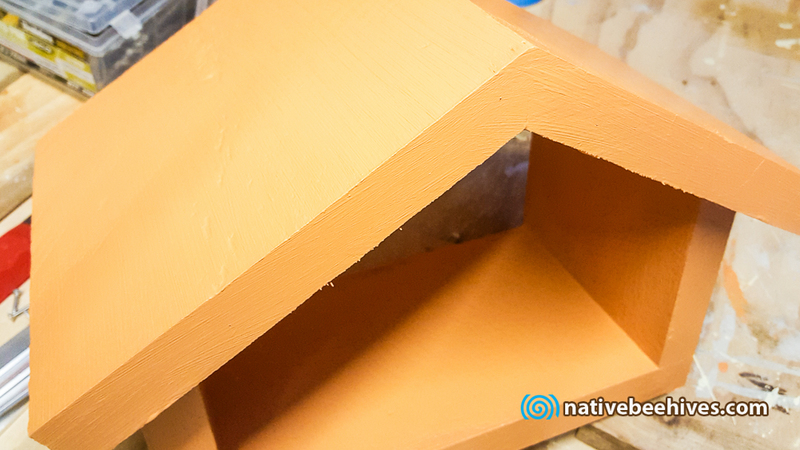 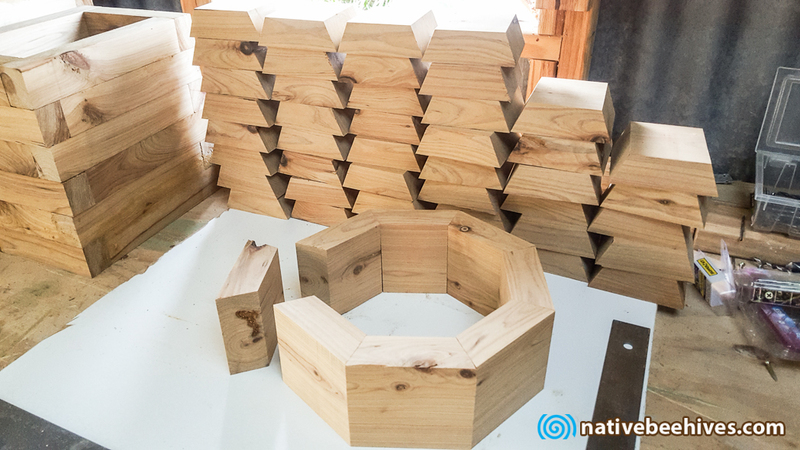 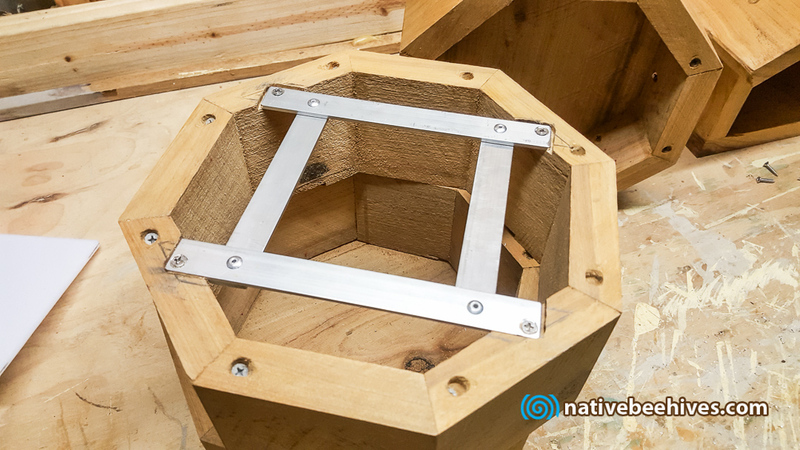 Alternatively, place wooden (hardwood is popular) blocks with drilled holes in them inside your nesting box to attract species such as resin and carpenter bees. 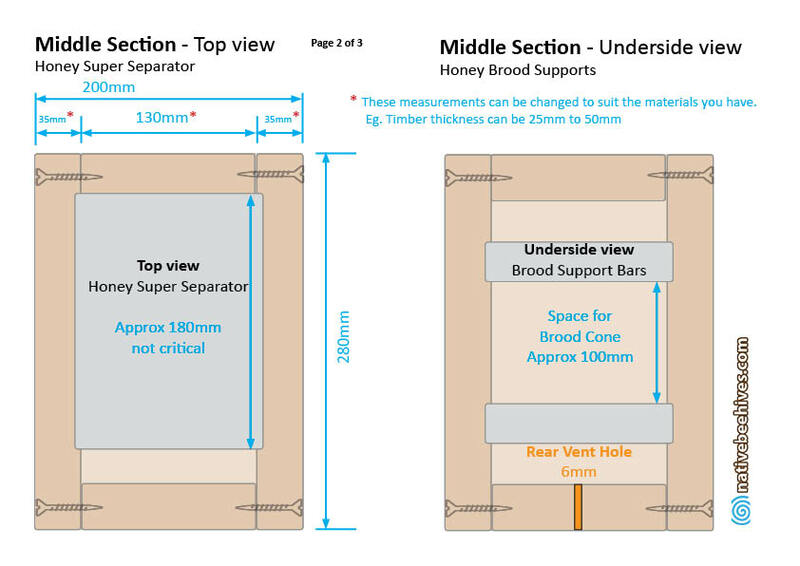 Use auger drill bits for 120-150mm deep holes that are 3-8mm in diameter (most popular by many species) 10mm (species such as resin bees must be 150mm deep) spaced 20mm apart. 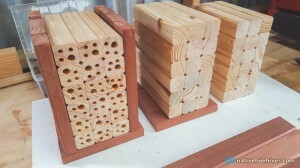 Try experimenting with different sizes,, but the larger holes often attract solitary wasps which plug up the holes with a mud plug whereas resin bees plug up their nests with materials that are green, red or sticky toffee. Pass the drilled blocks over a naked flame and/or sand to remove splinters which can injure bees. 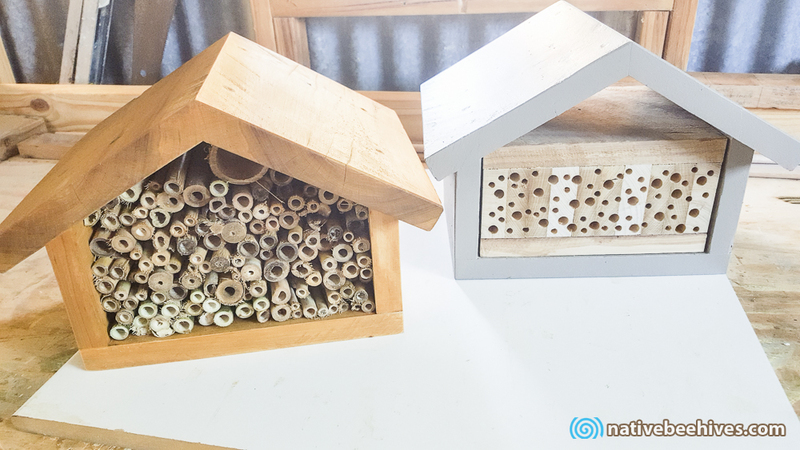 Place your bee hotel around 1.5m off the ground facing as much sun as possible, but sheltered a bit from the elements such as under an awning or pergola. 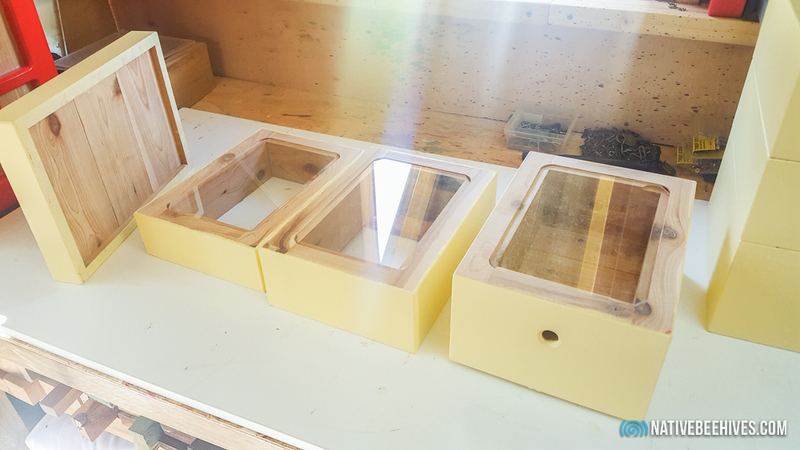 North, northeast orientation is ideal as the bees need to warm up in the morning for their first foraging trip. 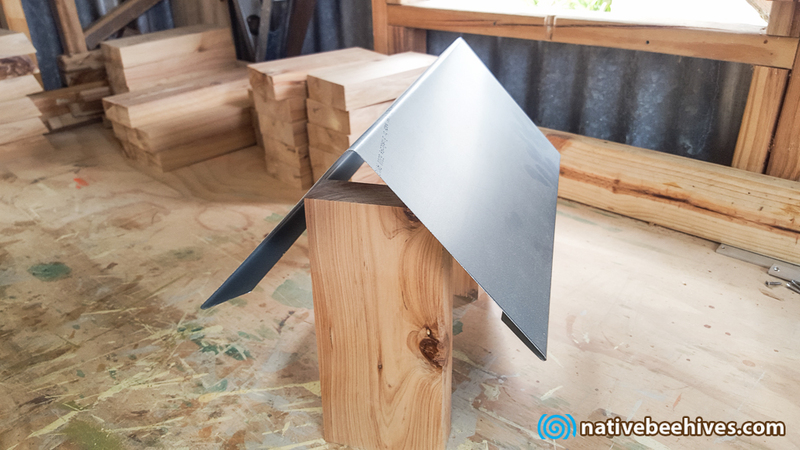 Try to hang it at a 10degree tilted angle so that bees crawl slightly upwards and any moisture can drain out. if you have place it on a table or shelf you just need a small piece of bamboo place at the bottom near the back wall to create a slight tilt.